Discounts on Resident Evil, now in episodic format. 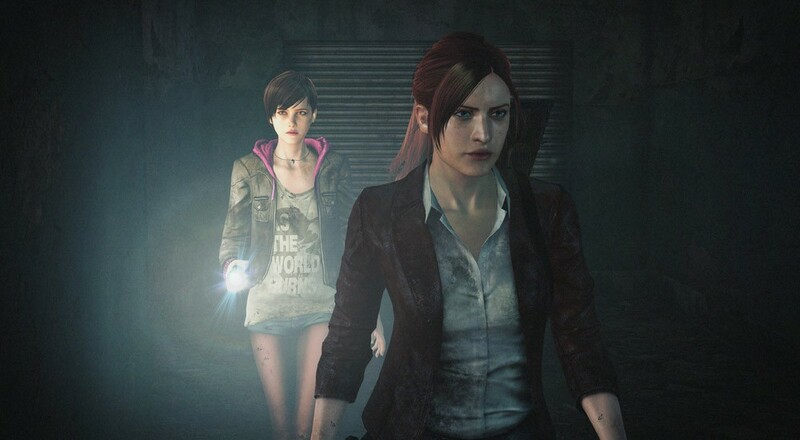 On Wednesday this week get ready for some co-op survival horror with Capcom's new Resident Evil Revelations 2. The two versions you can pick up on Steam right now will either cost you $24.99 or $39.99 (the more expensive version gets you more DLC for RAID mode). Both qualify for a 22% discount at the UK based digital retailer Green Man Gaming. At checkout just apply a coupon code at checkout and cut the prices down to $19.50 or $31.20 depending on which edition you go with. Gamers who are full on looking forward to the online RAID mode for Resident Evil Revelations 2 might find the more expensive $39.99 edition of the game a better choice. Both editions have the full story mode game, but in the more expensive version you get a "RAID Mode Throwback Pack" which will grant you access to a ton of additional levels in the game, the ability to play Wesker and a character, and a character customization pack. If RAID mode isn't that big of a deal, you might try out the cheaper $24.99 "Complete Season" version, which still gets you the full game minus some DLC. Actually, if you pre-order the "Complete Season" before Wednesday's release you'll get the "Raid Mode Throwback Pack" for free as well. Not a bad deal after the coupon. Just as a side note, the full game comes in 6 different episodes (4 + 2 bonus) which release about a week apart from each other. You can play the story mode co-op but only locally. RAID mode can be played co-op either online or offline. Update: If you pre-order before tomorrow at 8AM Pacific, GMG has the discount code increased from 22% to 25%, making the game only $30. The savings don't stop at the new Resident Evil, there are a ton of other deals worth checking out. SEGA's latest release Total War: Attila is now available on Steam for $44.99, or only $35.10 after the same coupon mentioned above for Resident Evil Revelations 2. DL Gamer has a 20% discount on Grand Theft Auto V for PC, dropping the price from $59.99 to $47.99 - and no coupons or rebates to bother with. Last but not least, you can Best Buy is throwing in a free PlayStation TV when you buy the PlayStation 4 The Last of Us Bundle, which is an $80 value.